A solid, no-nonsense 30-litre bag designed for those for carry loads on two wheels. 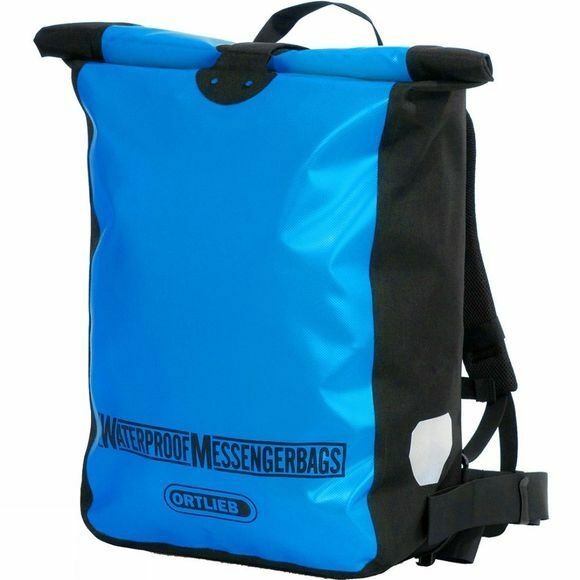 The Ortlieb Messenger Bag's rectangular profile allows easy carriage of documents and A4 folders, while the vented foam back-padding and simple, contoured harness keeps the whole thing comfortable and stable. The simple waterproof roll-top allows easy access, and the reinforced base (with feet) is a must when your bag is constantly being put down and picked up.